About us • BTC d.d. Firm foundation for higher goals. A company open to new ideas and opportunities. It is with great pride that I look at my team and collective who have, through plenty of courage and wisdom, succeeded in applying a focused and strategic management style to fundamentally transform the BTC company from what was once a specialised logistics and warehousing company into a modern and open company that now stands securely and confidently on five diverse pillars of operations. Our vision is clear – to continue to provide our business partners and visitors with the highest level of service and in conjunction with our partners create a new and different world of opportunities that enable new possibilities of development and a better future for all of us. Innovation is the key to opportunity and new added value and that is what we aim to bring our business partners. 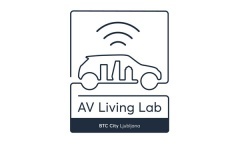 The innovative and unique test environment of the BTC Living Lab, our technologically advanced infrastructure, the BTC co-owned ABC Accelerator in its three locations (Ljubljana, Munich and Silicon Valley) together make up a unique ecosystem. It is our core infrastructure for bringing together the private, public and start-up sectors into a coherent whole, creating new content and responding to the signals of the future. The young generation shapes the future and we are more than happy to include young, talented and perspective individuals and companies from all over the world into our ecosystem. Their knowledge and operational paradigms are aimed at development and creation of new smart solutions. Digitalisation and constant innovation are in our DNA and that is exactly what we want to share with our business partners. Our path from 1954 to this day and a glance into the future. 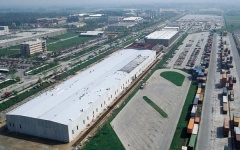 Gradual construction of Central Warehouses and transformation of the company into Public Warehouses. 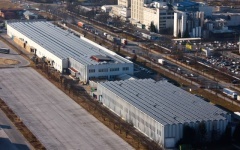 Completed construction of 68,867 m2 of warehouse space. The company then called Goods Transportation Centre becomes one of the largest land based terminals in Europe with 180,970 m2 of space. Renaming of the company to Goods Transportation Centre and transformation into a joint stock company. First shops open. 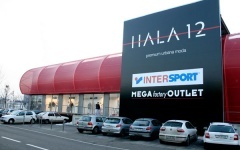 Opening of the first shopping centre in Slovenia. 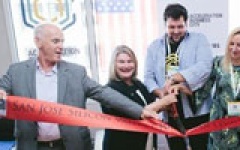 The BTC company participates as a co-founder. 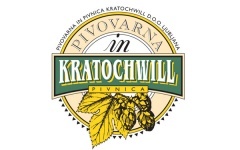 Founding of the BTC Kratochwill micro brewery and pub. BTC shares become listed at the Ljubljana Stock Exchange. Construction of the BTC Market and MERCURIUS congress hall. 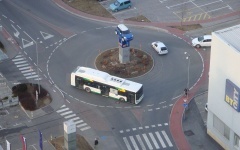 BTC connects to city centre with a regular bus line. 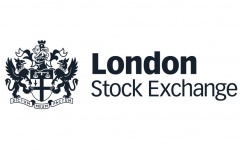 BTC becomes the first Slovenian company to be listed on the London Stock Exchange. 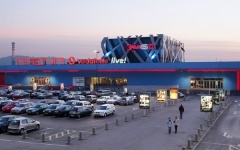 Transformation of the Murska Sobota logistics centre into a shopping centre. 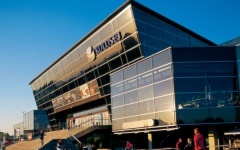 Opening of the Millenium sports centre at BTC City Ljubljana. 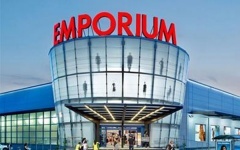 Opening of the EMPORIUM high fashion retail centre. 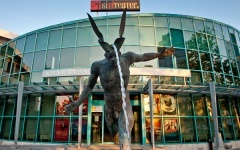 Establishment of the SiTi Teater BTC theatre. 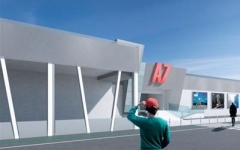 Construction of the 13,000 m2 BTC Logistics Centre. We are an open, modern and successful company that builds its business culture on innovation, social responsibility and sustainable development. 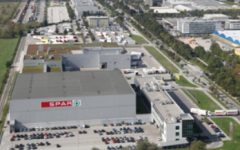 Our business growth is achieved through constant development of our commercial centres, logistics operations and integrated management of properties and facilities. We dictate responsible environmental practices and support wider social incentives through our Mission:Green approach. We are open for new ideas, innovations, new collaborations and partnerships. Our attitude is perhaps best presented by our ABC Accelerator with four locations around the world and countless possibilities for participants. The BTC company has gained the ISO 1998 Quality Management System certification in 1998. 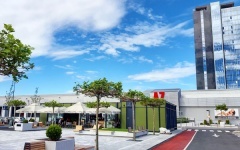 The certification marked an important moment in the successful transformation, restructuring and business growth in the 1990 to 1997 period when the company transformed from a public warehouse company into a modern European business and commercial centre. 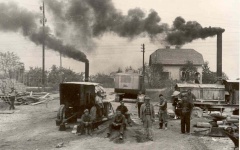 The quality system was the first step towards raising the quality of operations, rationalisation and optimisation. Quality standards are implemented and amended in all current and new operations that the company undertakes. The quality system is more than just a formal description of the quality assurance system that we employ, it embodies a value that each and every person in the company supports and observes and which is the starting point for excellence in business that we all work towards. Our quality assurance system assures all business partners and visitors a friendlier BTC, better, faster and higher quality services, leading to long term business relationships built on trust. Quality management system includes processes (business pillars) Real estate management (BTC Cities), Logistics services management (Logistics) and Digital content and solutions management (IT and digitization). 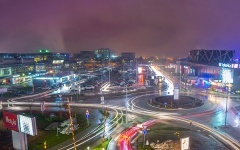 BTC City is becoming a lively city of attractive architecture, modern infrastructure and landscaped environment. The BTC company is well aware of the importance of careful environmental management. 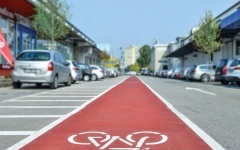 It therefore places special emphasis on the treatment of waste, water and air, efficient use of energy and the safety of visitors and property. The company places special emphasis on the treatment of waste, packaging, protection of water and air and rational energy consumption. 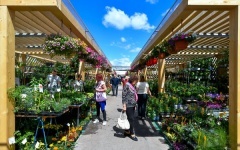 In 2006 BTC acquired the ISO 14001 Environment Management System Certification in the field of property management in the BTC City Ljubljana area and the Atlantis water park. In 2009 the certification was expanded to include logistics. BTC thus acquired an internationally recognised approach to property management and showed its responsible attitude towards the environment. Environment management system includes processes (business pillars) Real estate management (BTC Cities), Logistics services management (Logistics) and Sustainable content management (Mission: Green). In June of 2012 BTC acquired the ISO 50001 Energy Management System Certification. The certificate is the culmination of deliberate work and activities in the field of sustainable development. A considerable part of these efforts are aimed at permanent improvement of energy efficiency and increasing energy savings in order to decrease negative impacts on the environment. Energy management system includes processes (business pillars) Real estate management (BTC Cities), Logistics services management (Logistics) and Sustainable content management (Mission: Green). BTC is the first company in Slovenia to receive the ISO 55001 Asset Management System Certification. 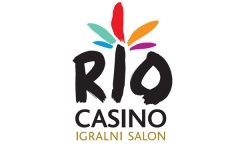 The certificate was awarded for quality in the management of properties and business partner assets by the Slovenian Institute of Quality and Metrology (SIQ) following a successful audit of the BTC PROP business unit. BTC is among the first recipients of these certificates that are awarded by IQNet – an international network of partner certification bodies that assess management systems. The organisation issues a quarter of the world’s annual management system certifications. Asset management system includes Real estate management process for other owners (business pillar BTC PROP). An open company is led by open ideas. The company is majority owned by its employees, management and retired former employees. Ajdacom, d.d. is owned by employees and management, Invest Point, d.o.o. is owned by the wider company management. In 2001 BTC executed a management/employee buyout that gave the company a stable ownership structure. The BTC brand name is registered in Slovenia, Austria, Bosnia and Herzegovina, Czech Republic, Montenegro, Croatia, Italy, Hungary, Macedonia, Germany, Slovakia and Serbia. 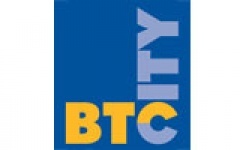 The BTC City brand is registered in Slovenia, Austria, Benelux, Bulgaria, Bosnia and Herzegovina, Cyprus, Czech Republic, Montenegro, Denmark, Estonia, Finland, France, Greece, Croatia, Italy, Ireland, Japan, China, Latvia, Lithuania, Hungary, Macedonia, Germany, Norway, Poland, Portugal, Romania, Russia, Slovakia, Serbia, Spain, Sweden, Switzerland and Great Britain. 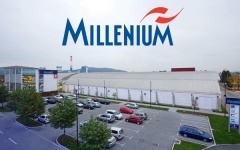 Millenium sports centre, Atlantis water park, restaurants City, Beti and Cej, SiTi Teater BTC, Crystal Palace, Shopping Gallery, Hall A, BTC City Market, Mission: Green, Eco Index, BTC City Club, Festival of Shopping and Fun, BTC Logistics Centre, LC Business Club. Good results are there to be exceeded. Breakthroughs are created by people. The new identity of BTC was shaped by two generations who faithfully pursued common goals and enabled the growth and development of company operations. The BTC company established itself through realised projects that arose from a collective effort towards innovative approaches and a strive for progress. Company management therefore continues to deliberately include its employees in processes of innovation. The creative spirit of our widest community gives rise to enterprising ideas, original thought and new visions. Ideas and projects with a vision. 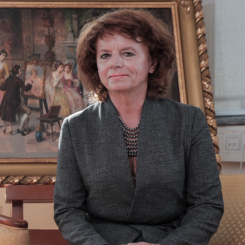 The BTC company is infusing its operations with an innovative business culture. To this end the Ideas And Projects With Vision project was commenced to promote and include employee creativity into company operations and further development. This has created space for forward thought and innovation of our employees to move to the forefront and strengthen while also bringing our employees closer at all levels of communication. The transfer of ideas and incentives into practice is therefore faster and more efficient. 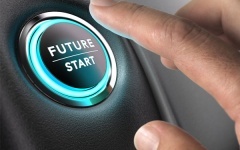 Including greater numbers of employees into innovative thinking processes has created an explosion of business ideas and discoveries of new business opportunities. Between the years 2008 and 2014 our employees applied for 206 business ideas with a vision and 31 projects with a vision. One of these ideas led BTC to introduce a new undertaking of managing properties owned by other parties. The numerous awards that BTC has received over the years confirm the enterprise, originality and innovation of every person working in the company. Excellent work and innovative ideas are always noticed. 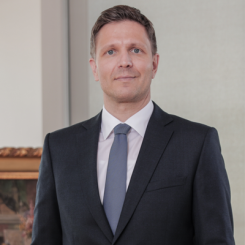 Independent agency for the selection and promotion of managers / 34th Best European Managers Awards: Jože Mermal, Chairman of the Management Board of BTC, prestigious award for exceptional results of the BTC company under his leadership, the highest managerial lifetime achievement award of “Best Manager 2016” of Southeastern and Central Europe and “Best Company”. 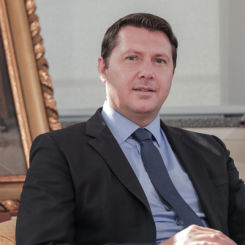 Jože Mermal, Chairman of the Management Board, BTC d.d. 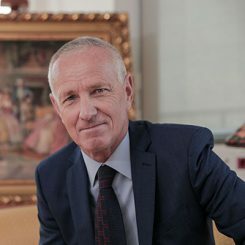 Jože Mermal, university graduate in economics, started his professional career at BTC in 1978. He worked at different management positions until 1993, when he became Chairman of the Management Board of BTC. 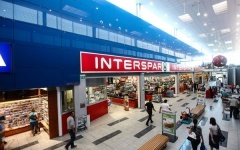 He served as the Director of the development and planning service, assistant to the General Director and Procurator for the commercial sector, Member of the Management Board of the joint stock company and responsible head of the Interspar shopping centre which was a key step in the creation of the modern BTC City. 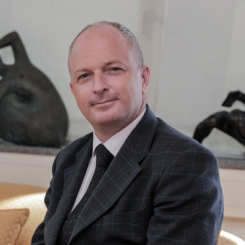 In 1997 Mr. Mermal led the demanding project of placing BTC stock on the London Stock Exchange. 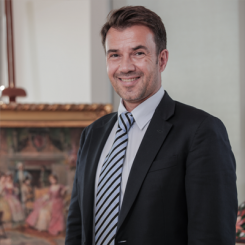 As the BTC company is involved in many projects that include the wider social environment – in the fields of culture, science, education, humanitarianism and sports – which Jože Mermal actively supports, the BTC company and Mr. Mermal personally have received many important awards over the years. 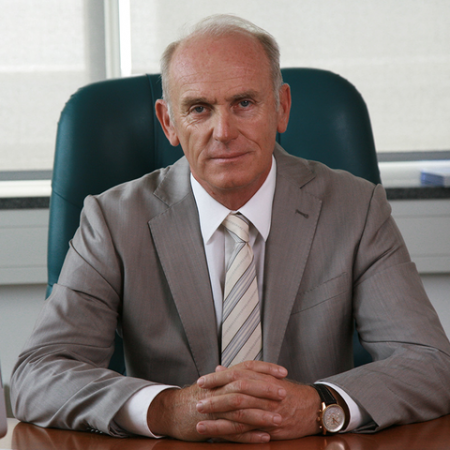 2016 Independent agency for the selection and promotion of managers / 34th Best European Managers Awards: Jože Mermal, Chairman of the Management Board of BTC, prestigious award for exceptional results of the BTC company under his leadership, the highest managerial lifetime achievement award of “Best Manager 2016” of Southeastern and Central Europe and “Best Company”. 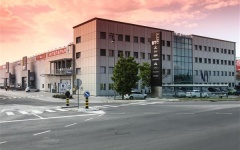 The BTC company began in 1954 with the adoption of the founding contract for the Central Warehouses company at the incentive of the then Mayor of Ljubljana Marijan Dermastja. 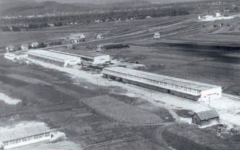 Expansion of operations and scope of business soon led the company to rename itself Public Warehouses. 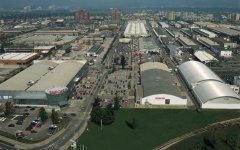 All of the warehousing activities in Ljubljana were thus consolidated in one place. 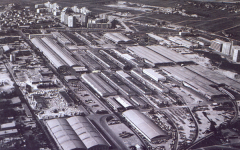 In 1963 the company managed 68,867 m² of warehousing space. 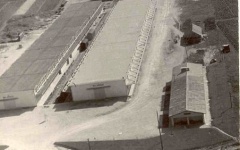 Just two years later the location grew into the largest goods storage facility in the former Yugoslavia. 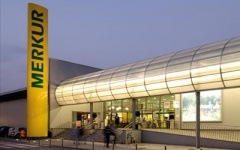 In 1975 the company developed into the largest goods and transport centre in former Yugoslavia and the Public Warehouses were again renamed into the Goods Transportation Centre Ljubljana (Blagovno-transportni center) – BTC. 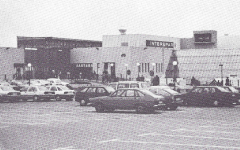 The company primarily operated in goods storage and distribution and in the period between 1977 and 1987 became one of the largest land terminals in Europe with 180,970 m2 of covered storage facilities. The warehouses stored goods prepared for export abroad and goods imported from Europe which were then distributed throughout Yugoslavia. The warehouses ware filled to capacity at all times. 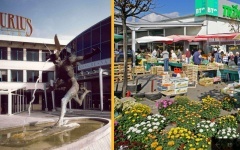 Over two decades of business transformation and urban renovation between 1993 and 2013 the BTC company – whose shares were successfully placed on the international capital market at the London Stock Exchange – pursued an intensive restructuring of the warehouse facilities and reorganisation of operations and developed into a property management company which now along with numerous business partners creates a harmonious fusion of different activities in a modern urban city space. The newly created BTC City is a diverse, architecturally modern, ambitiously reformed and carefully planned space, created as a response to the changing demands of modern times. The space has now become an integral part of the central cityscape and has established itself as a place of vibrant happening that anybody can participate in and co-create. The growth of BTC is the result of large scale investments into development. Best practices around the world and new opportunities of modern time became the incentive that led BTC to reinterpret and redefine its space. 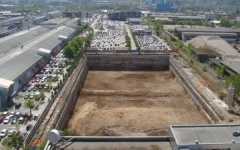 The grey warehousing monolith at the edge of the city was gradually transformed into a modern city area. 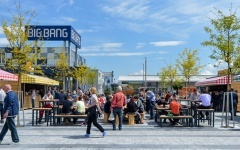 The changed image and new business purpose of the area became a generator of further company development, source of inspiration and constant challenge. That is why every year of BTC’s history was marked by investments, either the company’s own or those of partners, through which the company realized set projects, many of them large in scale and breakthrough in nature. Their realization influenced the growth and expansion of operations that are based more and more on the principles of sustainable development. Shares of the BTC company were listed on the London Stock Exchange between 1997 and 2001. The selling of shares at LSE brought the company important funds for further development. The BTC company invested 241 million EUR. Partners of the BTC company invested 165 million EUR. From green projects and state of the art technology to inventive management solutions. Operations that create possibilities for successful development and new business opportunities. 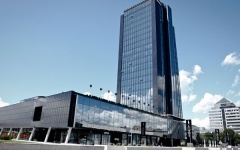 Through its many years of development the BTC company profoundly transformed itself and renovated the expansive area of BTC City, developing in the process into an exceptionally well versed manager of property. The company is now successfully marketing its comprehensive expert knowledge and experience in the field of property management. The company portfolio was supplemented by another new service: integrated management of business premises for other business partners. Clients benefit from a comprehensive insight into the local market as the operative, tactical and strategic aspects of building and spatial management constitute part of the company’s daily activities. High quality services and innovative management solutions assure optimal processes in the management of buildings and premises and enable the achievement of optimum cost efficiency. All the business decisions the company adopts reflect its responsible attitude towards its business partners, visitors, greater community and the environment. Inventive management services are based on partnerships with key business partners. 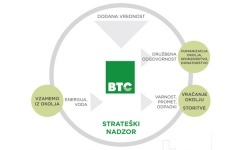 BTC strives for excellence in its management of properties owned by other business entities and its knowledge and experience is supplemented by specialised know-how of strategic partners such as Petrol in the field of energy, IBM Slovenia and Microsoft in IT and others. The BTC company maintains its dynamic character through various forms of growth, ranging from innovative services and new business content, projects based on sustainable development, synergy between local and foreign business partners, social responsibility … to entry into new market segments. We have close ties with various multinational corporations and local companies, allowing us to link new projects with the local community while assuring investors all the benefits of long term growth and optimal yields. 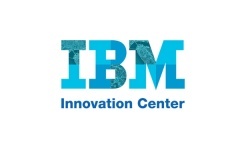 BTC has in conjunction with IBM Slovenia introduced the most modern information system for computer supported management of assets and services – IBM Maxima. 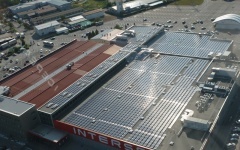 The system supports integrated management of investment projects, space, energy and the environment. In conjunction with Microsoft BTC has introduced a state of the art IT solution for managing customer relations in order to improve and support activities for successful monitoring and management of business partners and the search for new business opportunities. The BTC logistics centre builds on its long standing tradition of logistics services and wealth of knowledge and experience with modern information and communications technology. Modernisation of services across the board has strengthened BTC’s position on the logistics market and placed it among the leading service providers for higher end goods. BTC company selects international business partners for long term strategic cooperation and strengthening of market content on the basis of trends and guidelines in the global and local arena. 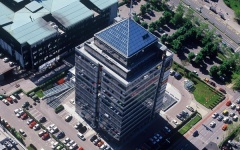 In 2014 the company celebrated its 60th anniversary. Thoughts about where to take the company in the future developed gradually throughout the year, culminating in the realisation that we are bound not only to maintaining the continuity of our current success, stable development and goodwill, but also to put efforts towards emphasising modernity through new services and incentives for new and original creations. Our management is infused with vibrant energy and synergy among generations. The strategy is a sound foundation that will allow the company to continuously increase growth, act responsibly towards the environment and continue to co-create further socially responsible projects in various areas. In this sense the development strategy is more than just a document detailing the company’s plans to expand and increase in economic terms. It sets out a gradual transition into a new business culture for BTC, a culture focused on increased creativity, innovation and constant dynamics. We are certain that these guidelines will bring us to our goal – an open company in the year 2020. The rich history of BTC has taught us that change is the only constant and that the company can only maintain its vitality and growth through taking on new and increasingly daunting business challenges posed by current social and economic circumstances. This realisation has led us to define our company mission for the 2014 – 2020 strategy as such: create conditions for the flourishing of new business opportunities. Intensive and thorough work on the strategic plan showed that we are either already working on most of the anticipated new developments in the region or we are very close to launching. 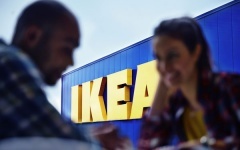 The company, which until recently focused its operations on two main sources of revenue, namely renting of properties and logistics, is expanding its portfolio by two further areas of operations – integrated management of third party properties and Mission: Green. Initial activities in these areas are already bearing fruit, but we are aware that most opportunities for growth and generating new value in both existing and new operations lie in the future. Successful business in the past and new findings on business opportunities in the future are a source of optimism and we firmly believe that the company will maintain its position among the most successful companies in the region, create new jobs, co-create social wellbeing and keep its place among the most esteemed companies in Slovenia. Innovative services, creative solutions, partnership networks in dialogue with the future. 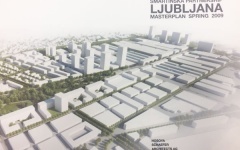 Another major factor in the further development of BTC City beside the Ljubljana Intermodal Logistics Terminal will be the large scale new urban development project titled the Šmartinska Partnership. 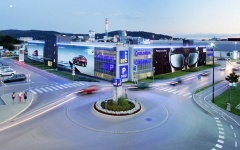 Considerable investments over the past twenty years, particularly in new construction, renovations of facilities and infrastructure, energy efficiency and modern information technology have transformed the suburban industrial area into a modern city – BTC City, attesting to the company’s relentless pursuit of growth, development and expansion of activities. 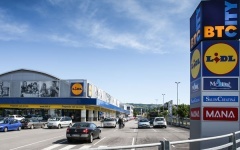 This public-private partnership project, for which the Urban Municipality of Ljubljana published an international urban planning competition for a complete design concept of the area that directly borders on BTC City, will redefine the purpose of 230,000 m2 of degraded industrial land along one of the longest traffic routes in the city, Šmartinska street, and a railway line. The selected concept proposes that the area be developed into a prestigious urban quarter the likes of New York’s Manhattan, with a number of business/commercial and residential buildings around a large central park. 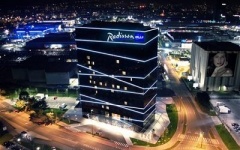 Two of the projects planned in the Šmartinska Partnership have already been realised: the Crystal Palace and Plaza hotel. Company management and the Supervisory Board have adopted the Corporate Governance Code in order to further emphasise the ethical relations and conduct among all stakeholders in the company: company bodies, employees, shareholders, business partners and the wider community. Professional and appropriate relations and well defined responsibilities are the basis for good, transparent and forward looking management and a precondition for further development and all future successes of BTC.